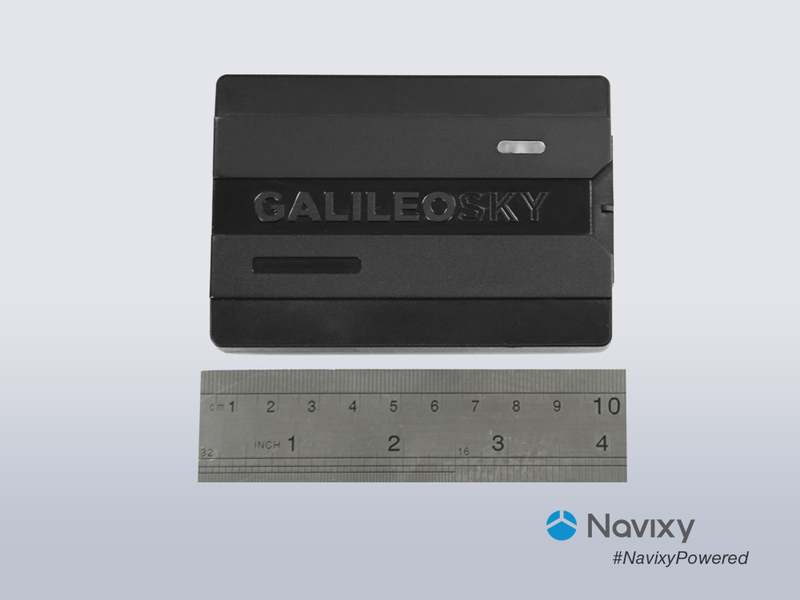 At the beginning of summer, Galileosky, one of the leading Russian manufacturers of satellite monitoring equipment, announced the release of a new line of Galileosky 7 devices. The main advantage of the new terminals is that you get a wide functionality at an affordable cost. This was achieved through the case replacement, component optimization and the use of built-in antennas. 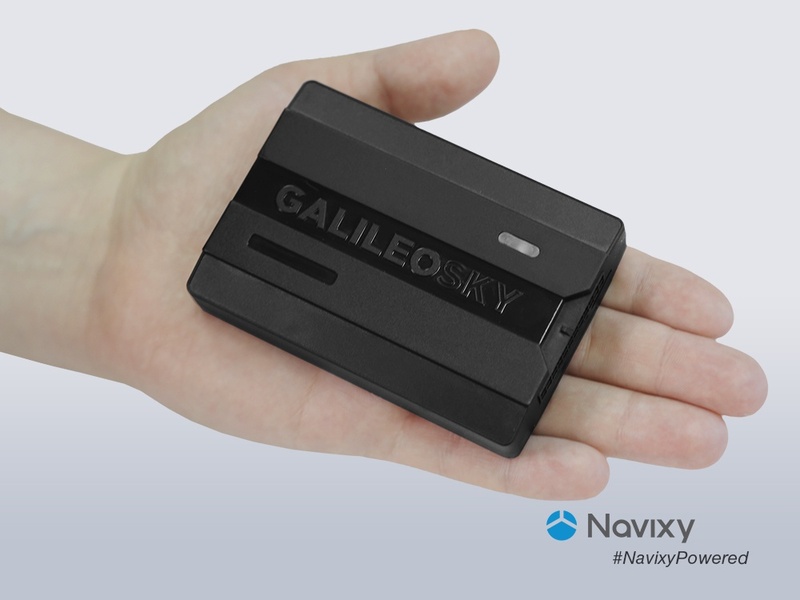 As the Navixy platform already supports the new terminals, colleagues from Galileosky provided us with Galileosky 7.0 Wi-Fi, the most functional modification, for tests purposes. In the new line, a body material was changed from metal to plastic with saving the original IP54 degree of protection. This helped to reduce the terminal size by about one half and made it lighter; allowed to implement compact NanoSim cards and change external wired antennas into the internal ones. Thanks to the internal antennas, the device is easily installed in the vehicle (you can as well choose a hidden installation). Besides, the internal antennas have no wires so its damage is not a problem now. The advanced models in the line, despite its case small size, are equipped with 3G and WiFi modules. Thus, with the help of frequently used today WiFi data transfer you can significantly reduce traffic costs. The terminals traditionally have a large number of interfaces for peripheral devices connection. There are 6 analog-discrete and frequency-impulse inputs, as well as 4 transistor outputs. “While creating the device we aimed at making it more economical and affordable without losing its multitasking functionality. A great number of outer periphery can be connected to the terminal and, thus, solve almost all kinds of monitoring tasks”. Even the simplest Lite version allows to work with CAN-bus and external devices via RS485 interface, the advanced models also add RS232, 1-Wire and a slot for microSD cards. 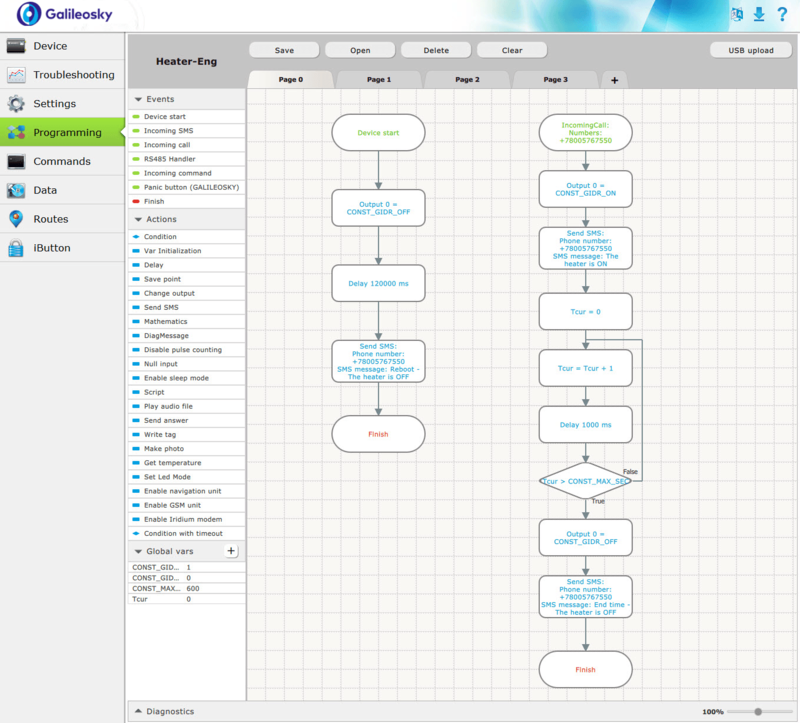 The Navixy platform allows to get information from all the interfaces for creating reports and tracking states. A range of application for terminals is growing fast each year not only in monitoring projects but also in the adjacent spheres, for example, in the remote objects management. Thus, for some customers, fuel accounting will be of prior importance, for others – temperature control during perishable goods transportation. There are also those who are most of all concerned about a pumping equipment uninterrupted operation. In short, it has to be of general-purpose to solve individual tasks. 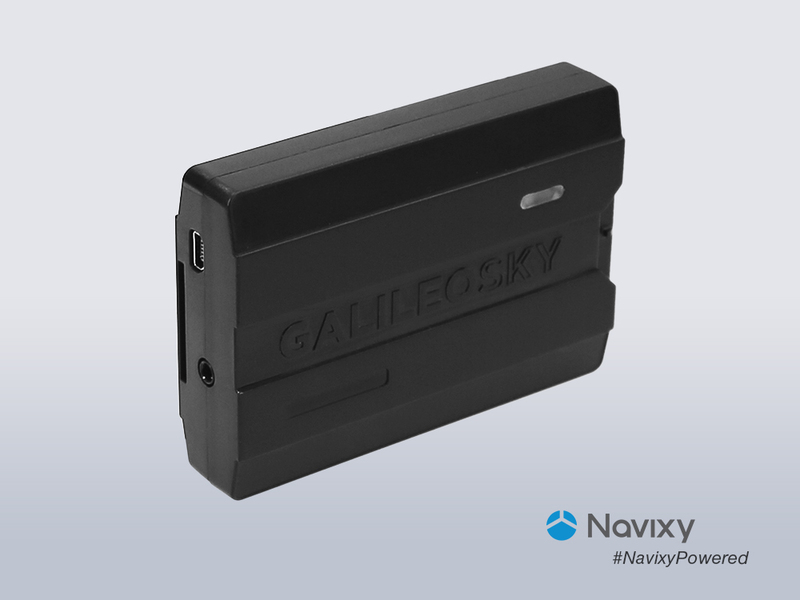 The exclusive Easy Logic technology used in Galileosky terminals allows to independently add events and actions to your needs without any firmware changing. It functions on the basis of an algorithm set by an installer. The technology helps to solve tasks of any complexity, for instance, it can be used for a temperature maintenance during transportation when it is required to report about refrigerator’s open door by an alarm signal and count the total number of such openings. The standard scheme fails to achieve this while the Easy Logic algorithm helps to solve the task in less than 20 minutes. Galileosky claims that one of the modifications in the line has a 3G module. The great news for Australia, the USA, Canada, Japan and others — the developed countries where 2G network has been already shut down or is going to. First world will definitely see the true value of the GPS terminals. 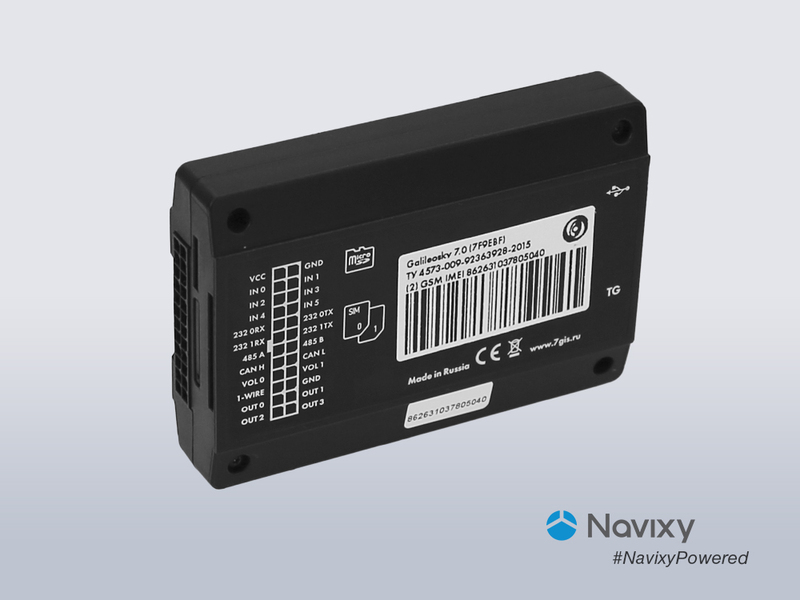 The terminal receives the basic settings from the Navixy server when activated. We used a “Configurator” service program for advanced settings, including the Easy Logic algorithm. Also note that it has an intuitively understandable interface; can be used in a remote configuration mode when a terminal is in the area of cellular data transmission and is regularly updated. 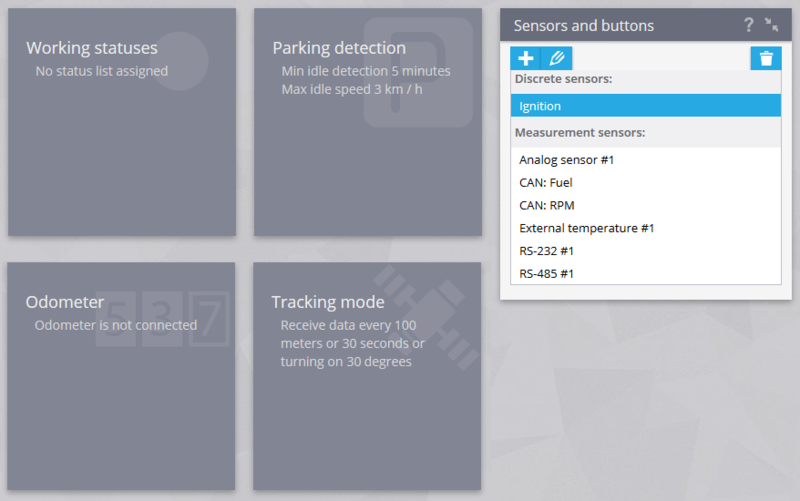 For the test run, we set a tracking mode at 100 meters / 30 seconds / 30 degrees intervals and placed the terminal under our car’s dashboard. At first, we had some concerns about using only internal antennas as they could negatively affect the quality of tracks, but this did not happen. As for the results, the Galileosky 7 terminal gave a very accurate track route with smooth lines and no gaps. For the last 20 km the tracker worked without a sim card, so this part of the route we uploaded via Wi-Fi in the office. As you can see on the screenshot above, we had no problems doing this.